As an independent non-profit organization, LVAIC is governed by a Board of Directors comprised of the presidents from the six founding colleges and universities. It receives core funding through a formula assessment to the members. 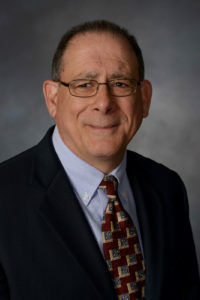 The LVAIC Executive Director serves as the consortium’s chief executive officer. All collaborative programs and initiatives are channeled through the LVAIC Coordinating Council, comprised of cabinet-level leadership from the six member institutions. Coordinating Council membership includes a cross section of Chief Academic Officers (CAOs), Chief Financial Officers (CFOs), Chief Information Officers (CIOs), and Senior Student Affairs Officers (SSAOs). Diane Dimitroff has served as the chief executive of the Lehigh Valley Association of Independent Colleges (LVAIC) since 2102. In this capacity, she provides strategic direction to the organization and leadership to collaborative initiatives. She is a non-voting member of the LVAIC Board of Directors, comprised of the presidents of the member institutions. Ms. Dimitroff meets regularly with the senior leadership of the members including the Chief Academic Officers, Chief Financial Officers, Senior Student Affairs Officers and other administrative planning groups. She also represents LVAIC in the Lehigh Valley community. Ms. Dimitroff has more than 30 years of experience leading and building collaboration in corporate, nonprofit and higher education organizations. Prior to joining LVAIC, she served as the chief executive at the Brockport Auxiliary Service Corporation. Her executive and leadership experience includes positions such as Vice President of Operations at ARAMARK and Vice President of Xerox Real Estate Corporation as well as leadership positions at Xerox and the University of Rochester. Ms. Dimitroff has served in volunteer and leadership roles in many nonprofit organizations and professional associations. Currently, she serves as the vice chair of board the Third Street Alliance for Women and Children and the treasurer of the Association for Collaborative Leadership. She holds a B.S. and an M.B.A. from the Rochester Institute of Technology. 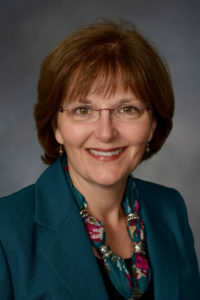 Charlene Bergstresser serves as the Program Director, collaborating with faculty and staff communities of practice to develop collaborative initiatives and programs for the LVAIC member campuses. Her work focuses on professional and faculty development and training with a strategic focus on diversity and inclusion. Charlene has more than 30 years of experience in the healthcare and nonprofit industry with 15 years specific to professional development and training. She holds a B.S. in Nursing from West Chester University and an M.S. in Human Resource Development from Drexel University. Nick DeSalvo serves as the Director of Sustainability Initiatives, collaborating with departments, relevant committees, faculty and students to make sustainability a core value of the campuses. He supports the range of sustainability initiatives and facilitates the identification of shared energy and environmental goals. Nick has more than 25 years of experience providing environmental consulting services. He holds a B.S. in Plant and Soil Science, an M.S. in Agronomy from West Virginia University and an M.B.A. from Pennsylvania State University. Katy Thomas acts as the Strategic Partnership Director, seeking collaborative opportunities for member campuses around resource maximization and efficiency. 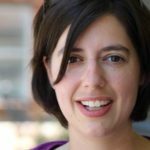 Katy’s work serves the areas of shared purchasing agreements and programming, with a strategic focus on operations and material supplies. Katy joins the LVAIC team with decade of professional experience in higher education, sourcing, and procurement. She holds a B.A. in Management from Gettysburg College and an M.B.A. with a concentration in Supply Chain Management from Lehigh University. As the Marketing and Communications Manager, Dana Yurgosky plans and executes the events for the organization, ranging from professional networking to student and group development. 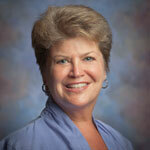 Dana also manages all marketing and communications for the LVAIC office, including the website and social media. Her role encompasses event planning and execution, as well as overseeing the daily administration of collaborative initiatives and project management. Dana holds a B.S. in Marketing and a B.A. in Business Administration from DeSales University and is a certified project manager through the Project Management Institute. She is currently completing her Masters in Business Administration from Cedar Crest College. As the Director of the Lehigh Valley Research Consortium (LVRC), Hannah Stewart-Gambino coordinates LVAIC faculty and student research on quality of life issues in the Lehigh Valley. Hannah holds a Ph.D. from Duke University and serves as a faculty member of political science at Lafayette College. Her primary fields are comparative politics and Latin American politics and religion. As the Research Coordinator of the Lehigh Valley Research Consortium (LVRC), Christine Carpino locates and manages research projects in the Lehigh Valley, as well as secure project funding. Christine holds a B.A. in Politics from Fairfield University, and an M.A. and Ph.D. in Political Science from the University of North Carolina at Chapel Hill. She currently serves as a faculty member of political science at Cedar Crest College. As Library Courier, Bill provides pick-up and delivery for all member libraries and the Allentown, Bethlehem, and Easton public libraries. This service is offered daily throughout the academic year and three times per week during the summer. 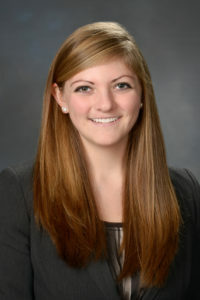 Located on the campus of Cedar Crest College, Chelsea supports the accounting activities of the LVAIC office. Chelsea holds a B.S. in accounting from Kutztown University, an M.S. Accounting from New England College, and is a certified public accountant (CPA), as well as certified in Human Resources Management. As the Administrative Coordinator, Alexandra offers support in planning and designing events and meetings for the LVAIC community. Alexandra brings the LVAIC team 20 years of sales, marketing, and event planning experience. She is also a parent of an LVAIC student.